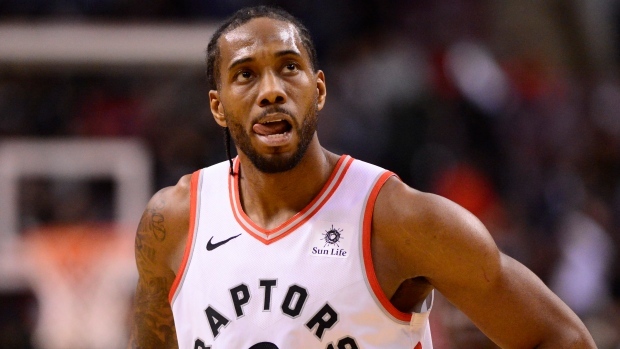 Toronto Raptors star Kawhi Leonard will be held out of the team’s game on Monday against the New York Knicks due to load management, the team announced. Just as they've done all season long, the Raptors are electing to rest Leonard for one day of their current back-to-back. Toronto dropped last night's contest against former Raptors coach Dwane Casey and the Detroit Pistons 110-107. Monday's game against the Knicks will be the 20th game that Leonard has missed this season. Over the 51 games he has played in, the first-year Raptors has averaged 27.1 points and 7.4 rebounds. Kyle Lowry, who sat out Sunday's loss to the Pistons because of an ankle injury, has been upgraded to probable to play tonight after being listed as questionable earlier in the day.